Normal tear production is a natural defense mechanism to protect the eyes from dirt, irritants, and infections; as well, to prevent dry eyes. These tears are a mix of water, fatty oil, and mucus that create a thin protective film on the surface of your eyes and keep them lubricated. Avoid direct exposure to blowing air, such as from hair dryers, fans, air conditioners, and heaters. Use a humidifier at home during dry seasons. Wear protective eyewear or sunglasses to shield your eyes from the wind and sun. 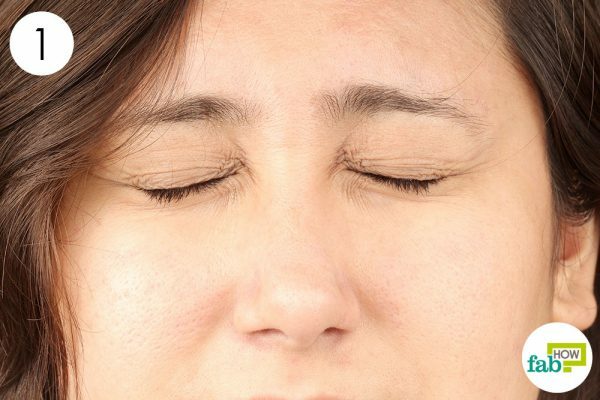 Take periodic eye breaks by closing your eyes for a few minutes or blinking rapidly to spread the tears over the surface of your eyes. Keep your computer screen below eye level. This way you will not need to open your eyes wide and in turn slow the evaporation of tears. Take care of your eyes when you are in areas with high altitudes, desert areas or during plane flights. Close your eyes frequently to minimize tear evaporation. Don’t smoke and avoid secondhand smoke, as both can aggravate dry eyes. If needed, use artificial tears or other eye drops to keep your eyes lubricated. A number of home remedies can provide relief from the symptoms of dry eyes and also treat the condition completely. Here are the seven remedies you can try to treat dry eyes by yourself. It is rich in fatty acids and has antimicrobial properties that can treat and keep eye infections at bay. It has also proven to be beneficial in treating cataracts and glaucoma. 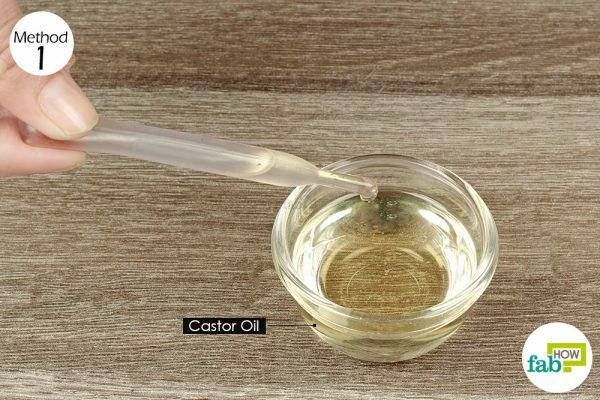 Make sure to use only hexane-free, cold-pressed castor oil. You don’t want to compromise with the quality, especially when it is going inside your peepers. Note: In certain individuals, castor oil can cause puffy eyes, swelling, and redness. If you feel any of these symptoms after the very first use, discontinue using this remedy. If using castor oil for the first time, start by applying 1 or 2 drops on your upper eyelids at bedtime. The oil will easily seep into the eyes. Continue doing so for 4 to 5 days. Once you get comfortable, put 1 drop of castor oil in each eye before going to sleep. Roll your eyes to spread the oil evenly over the surface of your eyes. You may feel a slight burning sensation, but it should wear off after a few minutes. You may also have blurry vision when you wake up, but that too will clear up soon. 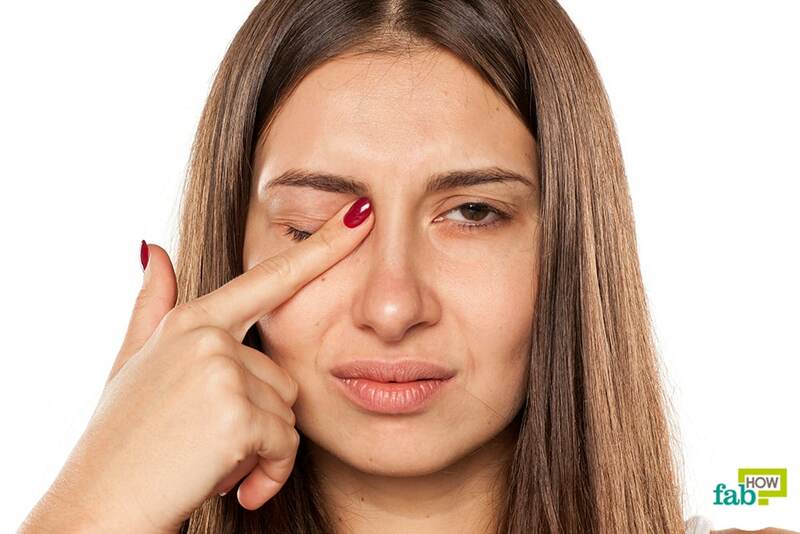 The castor oil remedy will give you relief in dry eye symptoms after the very first night. Continue to use it once every day to get rid of dry eyes in 7 to 10 days. 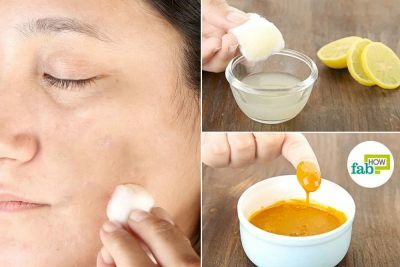 Coconut oil is the handiest ingredient that can cure a number of skin problems. It has also proven useful in curing bouts of dry eyes. It has anti-inflammatory properties that can reduce inflammation due to dry eyes. 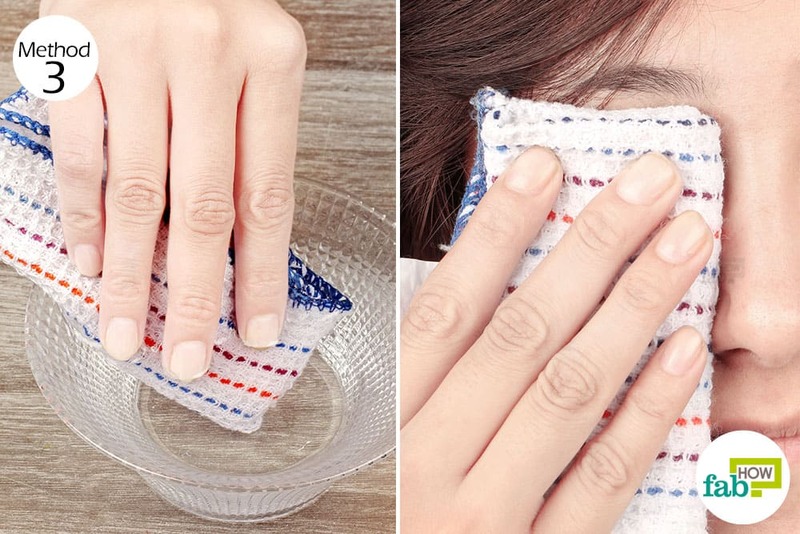 You can use it regularly to prevent your eyes from drying out or getting infected. It is also beneficial in the treatment of pink eye or conjunctivitis. 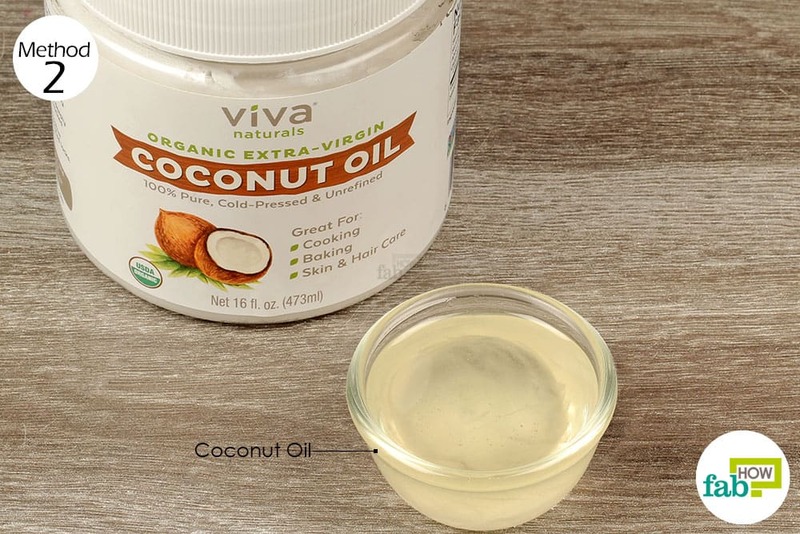 Soak 2 cotton balls in virgin coconut oil. Place them over your eyelids for 15 minutes. Repeat 3 or 4 times a day for 1 week. Alternatively, if you are comfortable putting the oil directly in your eyes, put 2 drops of coconut oil in each eye. Keep your eyes closed for 5 minutes, then open them up. They will feel cloudy initially, but it should clear up after blinking a few times. Repeat 2 times a day for 1 week to relieve dry eyes. Continue using it 3 or 4 times a week to prevent dry eyes. A warm compress also provides relief in eye sty. Place the warm, wet cloth over your closed eye until the heat dissipates. Rewet the cloth with warm water when it turns cool. Do this for 15 minutes on each eye. A warm compress will provide immediate relief from pain and itching related to dry eyes. Continue to do it 3 times a day for 1 to 2 weeks to treat dry eyes. Shut your eyes normally, then squeeze them for 3-5 seconds. Open your eyes slowly and relax the eye muscles. Keep them open for another 3-5 seconds. Repeat this process 6 or 7 times throughout the day to improve your eye condition and treat dry eyes in 2 to 3 weeks. You can set alarms on your phone to remind you to do it regularly. Note: Fish oil supplements can lower the vitamin E level in your body. Therefore, you’ll also need to take supplements that contain vitamin E. Always consult your doctor before beginning a supplement regimen. Take 1,000 mg each of fish oil and flaxseed oil twice every day. Taking omega-3 rich supplements will help get rid of dry eyes in 1 month. Note: Flaxseed can cause some gastrointestinal upset such as frequent bowel movements, gas, bloating, and cramping. Although flaxseed oil can lower total cholesterol, it can cause an elevation in triglycerides. 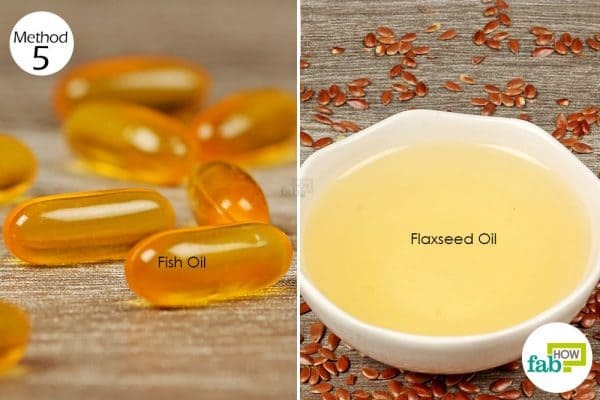 If you have high triglycerides or have a history of pancreatitis, you should speak with a licensed healthcare provider before consuming flaxseed oil. Flaxseed oil is possibly unsafe in pregnancy and breastfeeding. Do not take flaxseed oil without first discussing its use with your obstetrician, nurse midwife, or another licensed healthcare provider. It is thought that flaxseed oil can interfere with the body’s clotting factors, therefore if you have an injury or condition that causes bleeding, flaxseed oil could cause you to bleed more profusely and for a longer period. If you take blood thinners or other medications that affect your body’s abilities to clot, or if you are planning to have surgery or a major procedure, you should speak with a licensed healthcare provider before consuming flaxseed oil. While it may not cure the condition, rose water is a popular folk remedy and can relieve sore and dry eyes by moisturizing them. Do not put it directly into your eyes, as it can burn and cause more irritation to your already inflamed eyes. Soak 2 cotton balls well in rose water. Place 1 cotton ball over each closed eyelid and let them sit for 5 to 10 minutes. Repeat 3 or 4 times every day, along with other remedies, to reduce the irritation of dry eyes. Commercially available lubricating eye drops, or artificial tears can be used to treat temporary dry eyes that occur due to environmental factors. (7) Be sure to use only preservative-free eye drops for dry eyes. It’s best to consult your doctor before using over-the-counter eye drops. If you wear contact lenses, make certain any over-the-counter eye drops are compatible with contact lenses. Note: Since these eye drops can cause blurry vision for a while, it is advisable to use them at bedtime. Put 2 drops in each eye before bedtime and keep your eyes closed for 5 minutes. Do this every night to keep your dry eyes well moisturized until your condition improves. 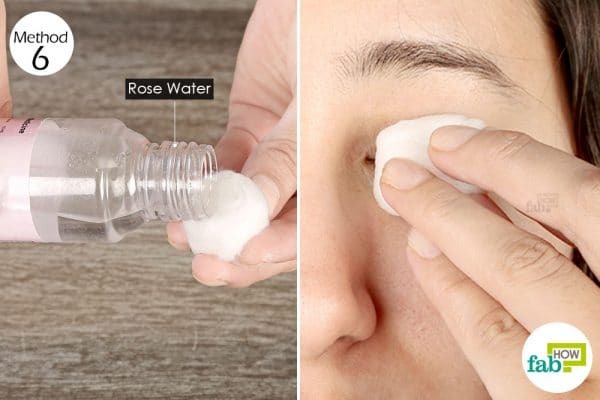 You can also try an apple cider vinegar remedy for dry eyes. Mix together 2 teaspoons of honey, 5 teaspoons of water and 1 teaspoon of apple cider vinegar. Apply it on your eyelids and around your eyes every night for 20 minutes. Wash it off with warm water. Golden MI. Dry Eye Syndrome. StatPearls [Internet]. https://www.ncbi.nlm.nih.gov/books/NBK470411/. Published October 27, 2018. Dry Eyes. NHS Choices. https://www.nhs.uk/conditions/dry-eyes/. Lollett IV, Galor A. Dry eye syndrome: developments and lifitegrast in perspective. Clinical ophthalmology (Auckland, N.Z.). https://www.ncbi.nlm.nih.gov/pmc/articles/PMC5774475/. Published January 15, 2018. Mutalib HA, Kaur S, Ghazali AR, Chinn Hooi N, Safie NH. A pilot study: the efficacy of virgin coconut oil as ocular rewetting agent on rabbit eyes. Evidence-based complementary and alternative medicine : eCAM. https://www.ncbi.nlm.nih.gov/pmc/articles/PMC4352907/. Published 2015. Zhang X, M VJ, Qu Y, et al. Dry Eye Management: Targeting the Ocular Surface Microenvironment. International journal of molecular sciences. https://www.ncbi.nlm.nih.gov/pmc/articles/PMC5535891/. Published June 29, 2017. 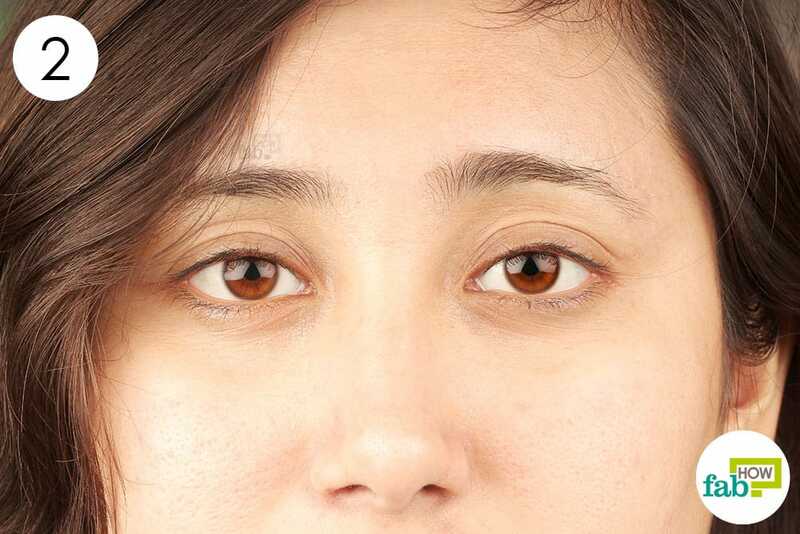 Javadi M-A, Feizi S. Dry eye syndrome. Journal of ophthalmic & vision research. https://www.ncbi.nlm.nih.gov/pmc/articles/PMC3306104/. Published July 2011. Findlay Q, Reid K. Dry eye disease: when to treat and when to refer. Australian prescriber. https://www.ncbi.nlm.nih.gov/pmc/articles/PMC6202299/. Published October 2018. God post. Dry eyes commonly occur when the tear gland does not produce enough tear for an eye. As a result, you cannot resist dust and other foreign material, which can hurt your eyes or make your eye prone to bacterial infected. Thank you for sharing these useful tips to cure dry eyes.